Create a custom iPhone 8 wallet case. Handy slots for your most important bank cards. A stylish look with your custom iPhone 8 case. Do you feel annoyed not always having all your needs in the same place? We do! 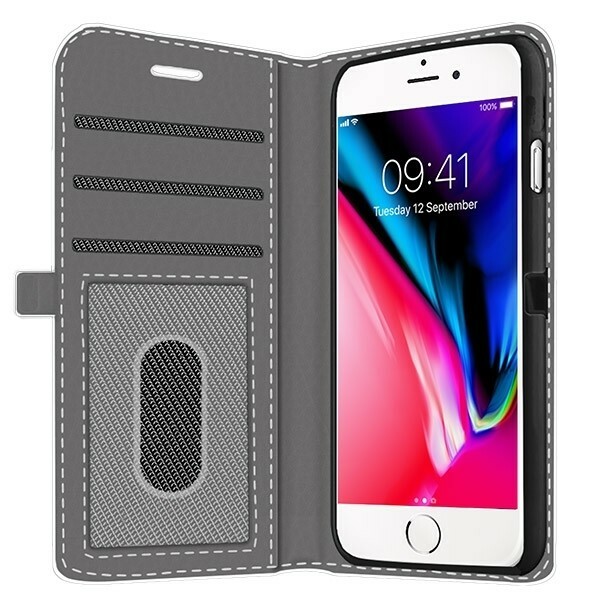 Make sure your most important cards and your phone are always together by designing this multi-functional and personalized iPhone 8 wallet case. 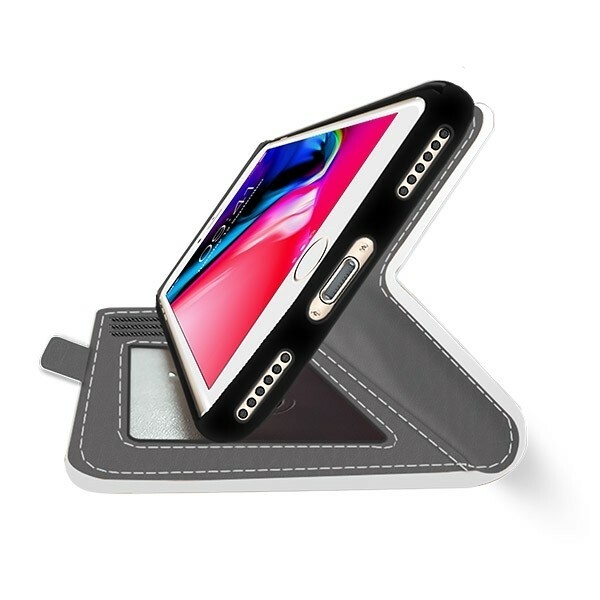 This case, offers full protection on all sides, back and front of your phone. So you do not have to worry about bumps, drops, and scratches. In addition to great protection, with this custom iPhone 8 case, you have the added bonus that you can design the front of it completely. 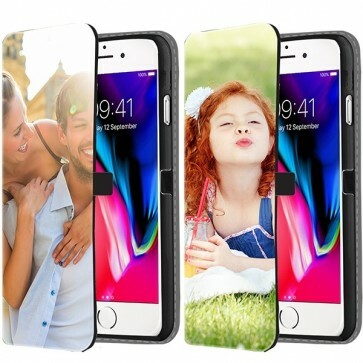 Choose your favorite photo or design and put it on this cool and useful phone case. Creating your custom iPhone 8 case is very fast, easy, and fun. Just press the green "Start Now" button and get redirected to our user-friendly design module. Here you can easily upload the photo or the design of your choice. This can be done via the "Upload" button, which allows you to choose photos from your computer or from your social media - Facebook or Instagram. Once you have chosen your photo you can add text if you would like. Done? Then you are all set to order your unique iPhone 8 custom case. The custom iPhone 8 case has been ordered, what now? We recommend always checking the order to verify that everything is exactly how you want it. Once your custom iPhone 8 wallet case looks like how you envisioned it, you are then ready to officially order it! We are always working hard to print your case with high quality and to ship it quickly. If you have any further questions about us, such as shipping or designing your case, our support team can be easily reached by email. They are always there to help you!